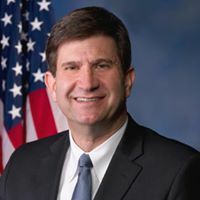 Congressman Brad Schneider (D-IL 10th District) was one of the top campaign spenders among Illinois candidates running for the U.S. House of Representatives in 2016. For the competitive race in District 10, he reported expenditures of about $5.6 million in the 2015-2016 election cycle. But for this year’s race, he only spent $1.5 million so far, according to federal election records. Much of Schneider’s campaign money in the highly competitive 2016 race went for direct mail and media production and salaries. He also spent about $8,000 on airline tickets and about $20,000 on food. In this year’s race, Schneider’s campaign money has gone to salaries, fundraising consulting fees and to the Democratic Congressional Campaign Committee. In 2018, the campaign has spent $40,874.76 for event catering, meals, event food and an intern lunch. While any expenditures of $200 or over must be reported, the actual reasons for spending sometimes are unclear or unspecific. For example, airline tickets are listed as airfare without information on where the flights went or what they were for. Hotel stays are sometimes generic, referring only to the hotel chain or the discount hotel booking company name. Transportation, such as Uber and LYFT, do not indicate the ride destination or the purpose of the ride. The purpose of food purchases are often for volunteers and fundraising, but sometimes lists only a restaurant and event catering. “In terms of spending for his campaign, he (Schneider) has to report all the expenditures that his campaign makes and that is broken down on our side into a number of different categories based on what is used for fundraising, salaries, strategies and research, administrative (and) media,” said Brendan Quinn, outreach manager for OpenSecrets, which is a non-partisan, nonprofit organization in Washington D.C. that tracks campaign money. However, Quinn said there isn’t a huge amount of oversight on campaign expenditures and what is used for an expenditure. The Federal Election Commission prohibits any campaign expenditures for personal use. But Quinn said it is easy to justify expenses that might raise questions. For example, a candidate could say being a country club member gives them access to donors and is excusable. “Food is justifiable in a way that you could say we’re feeding campaign volunteers or we were having a fundraising event catered or a voter outreach event catered,” Quinn said. When contacted multiple times via email and by phone, Schneider’s office declined to comment on campaign expenditures and expenditure transparency. The Federal Election Commission requires candidates to file all campaign expenditures. Every candidate and committee are required to have a treasurer in charge of filing accurate reports to the FEC. Some treasurers are volunteers or paid professionals and can work outside the committee. Certain treasurers file reports for multiple committees. To file, treasurers use either the FEC’s software or another permissible software. Almost all committees file electronically, which Judith Ingram, FEC press officer, said speeds up disclosure. After reports are filed with the FEC, analysts review them. If any questions occur, if they notice any discrepancies or anything unclear, analysts contact the committee in a public communication called a request for additional information. Candidates aren’t limited to the amount of money they can spend, as long as the money was raised for the campaign. There aren’t too many rules regarding spending, Quinn said, unless candidates pay an outside group like a super PAC, that they are forbidden from coordinating with. When filing disclosure reports, treasurers have to fill out the purpose of disbursement. This is the reason for the expense. Some campaigns, called zombie campaigns, continue to spend after candidacy is over or even after the candidate has died. “Sometimes, members of Congress who have been retired for 10 years, their campaign is still spending money but they are somehow able to justify it because they say ‘If I ever am going to run for office again I’m going to use a car to run around my district, so I need money to buy a car,’” Quinn said. Schneider has outspent most of his opponents in both the 2016 and the 2018 races. In the 2016 campaign cycle, Schneider for Congress spent $5,697,117.89. They raised $6,170,421.64. Nancy Rotering ran against Schneider in the 2016 Illinois District 10 Democratic Primary election. Nancy Rotering for Congress spent $1,752,623.89 and raised $1,418,382.66. In the 2016 general election, Schneider ran against Robert Dold, R-IL. Dold for Congress spent $5,892,284.03 and raised $5,620,596.74. For the 2018 campaign cycle through June 30, 2018, Schneider for Congress spent $1,516,808.75 and raised $4,222,215.58. The 2018 general election is Nov. 6. Doug Bennett, R-IL, is running against Schneider. The Friends of Doug Bennett spent $157,807.04 and raised $193,111. The amount of money a candidate spends, Quinn said, depends on the competitiveness of the race. After looking at how much Rep. Schneider’s has raised in 2018, Quinn said it seems like this year is not a very competitive race.